If you're a professional photographer who's reluctantly embraced the iPhone as an occasional alternative to your DSLR, you're gonna love Photojojo's latest smartphone accessory. 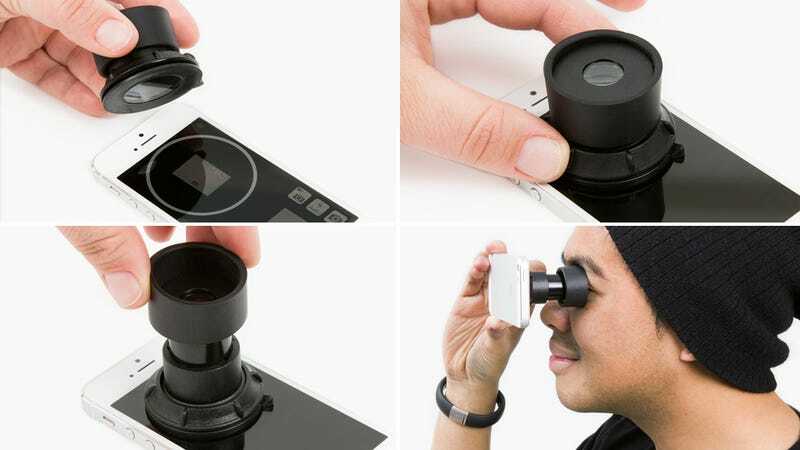 It's a suction cup viewfinder that sticks your iPhone's display letting you block out all the distractions around you and frame your shots the same way you would with your full-sized camera. For $30 it includes a complementary app that generates a smaller preview window on the iPhone's display that the viewfinder is designed to cover, as well as an easy on-screen guide so you know exactly where to position it. It even works with iPads, as long as you're willing to deal with everyone around you shaking their head in disbelief while you hold your giant tablet up against your face.